Orange Hotel Wenhua Chiayi is the 10th hotel in Forte Hotel Group. It is the first hotel combined with the hostel. In the hostel there are 48 Beds, 2-Bed Shared Dorm Room, 4-Bed Shared Dorm Room and 6-Bed Shared Dorm Room with perfect facilities and saloon. There are 83 business rooms in the hotel. There are also the Japanese style rooms with the wooden floor except for the business rooms. It provides Orange Hotel Wenhua Chiayi with the texture of hotel and the vitality of hostel. 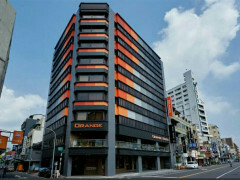 As we known, Orange Hotel Wenhua Chiayi is the former Cathay Bank. The Forte Hotel Group insist on the concept of environmental protection and resources reuse. They did not remove the building, but just transformed it into a hotel. The outside wall shows a gradient colors from dark grey to light orange. It is consistent with the Orange Hotel and the sunrise in Ali Mountain from midnight to daybreak. 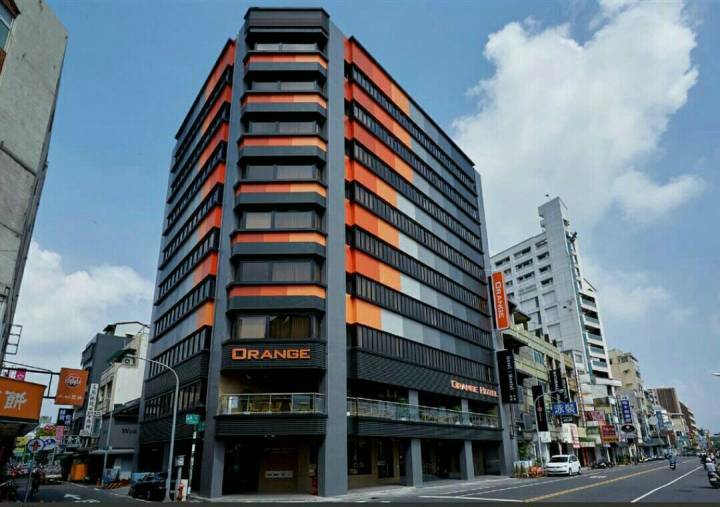 Orange Hotel Wenhua Chiayi became the brand new landmark on Wenhua Road. The Orange Hostel has been managed like a hotel. All the equipment here is really excellent no matter its decoration, furniture and shower equipment. Here we provide the guest a simple kitchenware, and 24H free coffee and tea. We also have an unique “Fruit Corner” serving the seasonal fruit makes our guest feel like they are at home. We have built a wide balcony, it breaks the fence between hotel and the outside world, they can see the life in the city, hear the laughing in the park. It makes the view more broad, and gave our guest a different type of hostel. Orange Hotel Wenhua Chiayi is located in the city's prime downtown location and is a 1-minute walk to the renowned fountain roundabout and Wenhua Night Market where you can enjoy delicious street food from traditional hawkers. Chiayi Station and Beimen Station are both 5-minutes away by car, making this the best place to start your exploration of Chiayi. Orange Hotel Wenhua Chiayi is located in the city's prime downtown location and is a 1-minute walk to the renowned fountain roundabout and Wenhua Night Market where you can enjoy delicious street food from traditional hawkers. Chiayi Station and Beimen Station are both 5-minutes away by car, making this the best place to start your exploration of Chiayi.